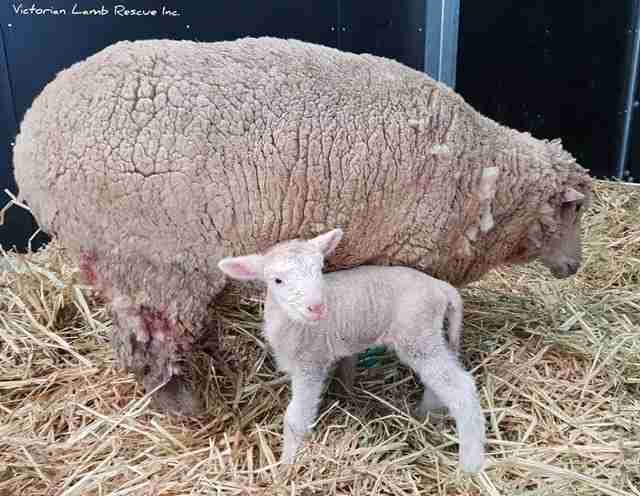 It’s said that nothing is stronger than a mother’s love — and a sheep named Elmina recently proved this to be true. 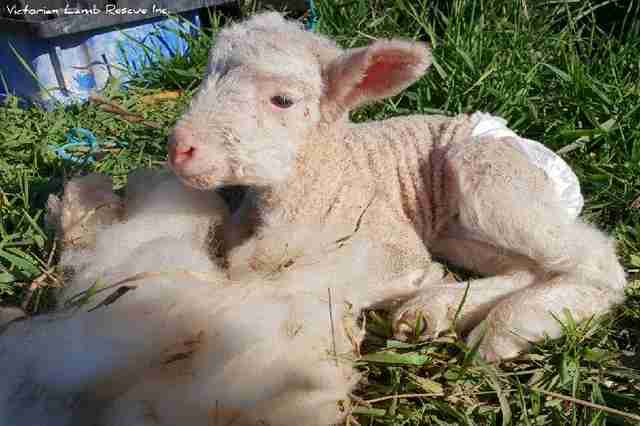 Earlier this week, the team at Victorian Lamb Rescue got a call about a badly injured sheep. 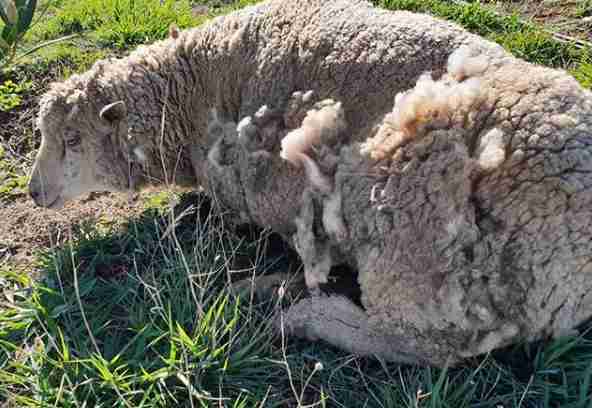 Roaming dogs had entered a sheep farm in Victoria, Australia, killing several members of a flock. When the dogs turned on Elmina and her young lamb, Razili, Elmina did everything in her power to protect her baby. When the farmer found Elmina, the ewe was barely alive — she was covered in bite marks, punctures and lacerations, and he considered putting her down. But the farmer’s neighbor, who works as a sheep shearer, suggested calling Victorian Lamb Rescue to see if the group could help. 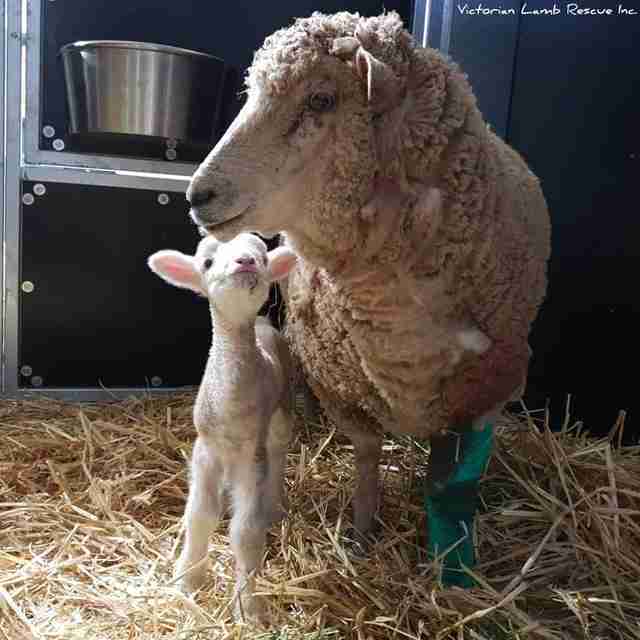 The team at Victorian Lamb Rescue rushed Elmina to the vet for emergency surgery, and the vet team managed to close up Elmina’s largest wounds. Amazingly, Elmina pulled through, and she and Razili remained at the vet for several days as Elmina recovered. On Thursday, Elmina was stable enough to go to the sanctuary run by Victorian Lamb Rescue, and the rescue team will take over her veterinary care. 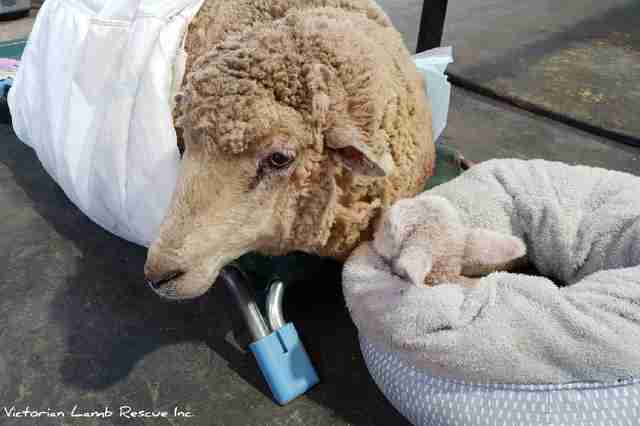 To Smythe, the most uplifting part of this rescue was seeing the bond between Elmina and Razili, and knowing that the team at Victorian Lamb Rescue helped keep them together. 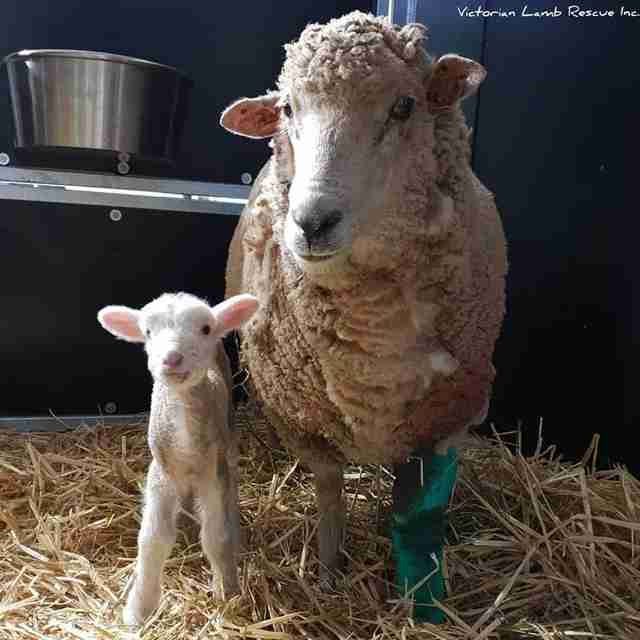 To help Elmina get better, you can make a donation to Victorian Lamb Rescue to help pay for Elmina’s medical costs.